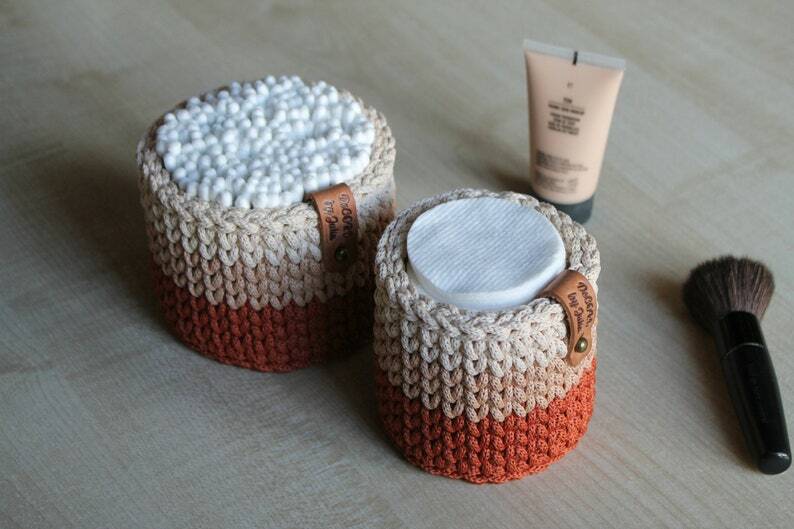 Set of 2 crochet basket for home decor and storage. 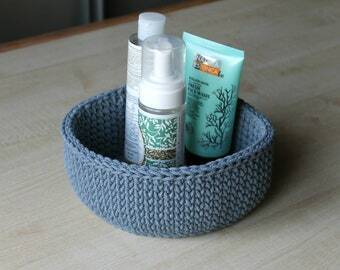 Small baskets are great for storing cotton disc, cotton swabs and cosmetics. 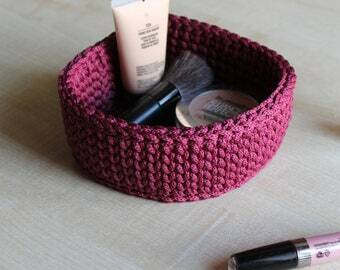 Baskets are crocheted by hand using polyester cord 3mm . Material - 100% polyester cord. Сolor - terra cotta, peach and beige. 4) does not fade, does not burn out. This set includes 2 baskets in different sizes. 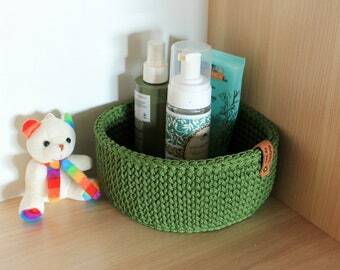 Size of large basket is : diameter 10 cm, height 8 cm (3.9" diameter x 3.1" height). 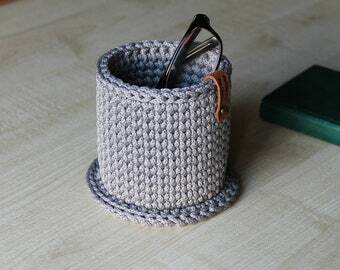 Size of smaller basket is : diameter 8 cm, height 8 cm (3.1 x 3.1"). Please be aware that it is handmade, so it can be inaccuracy of the size - 0,5 cm-1 cm (0.2-0.4") . 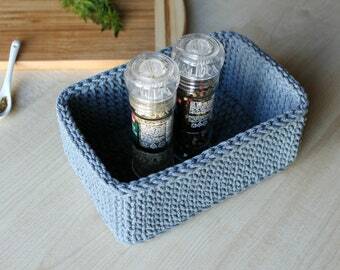 WASHING: this storage basket can be washed in the washing machine on 30°C without conditioner. Please keep in mind that real colors may slightly differ because it depends on each monitor settings. Thank you! I love it. It’s very high quality and worth every penny. Time frame: 2 weeks after you have received the package - items should be shipped back only to us within that time frame, not delivered. We do not refund payment for delivery, only the cost of the product. Cost of secondary delivery (cost of return the item) is also paid by a customer. If you wish to cancel transaction, please, note, that there is non-refundable 9% and Paypal fees (for USA - 1.9% + $ 0.30, other countries 3.4% + $ 0.30).